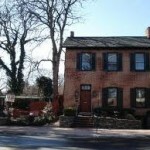 You can’t swing a dead cat in Gettysburg without hitting something haunted and the Tillie Pierce house is no exception. Tille Pierce is well known as she wrote a book in the aftermath of Gettysburg about her experiences during the battle. A teenager during the time of the battle, she was involved in nursing and caring for wounded soldiers, and witnessed both the battle, numerous amputations and other horrors associated with the war. 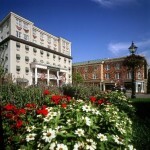 The Blue Room of the Inn is said to be the most haunted room. There are numerous reports of people walking above them (in the attic), people feeling like someone is sitting on the bed watching them and some claim a soldier constantly walks down the stairs, enters the room, and goes back up. 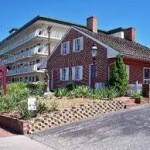 After staying at this location, I did also have several experiences including video evidence of a shadow girl (she is under the age of 10 but not younger then 5) in the upstairs hallway. This can been seen on our website-video wise. 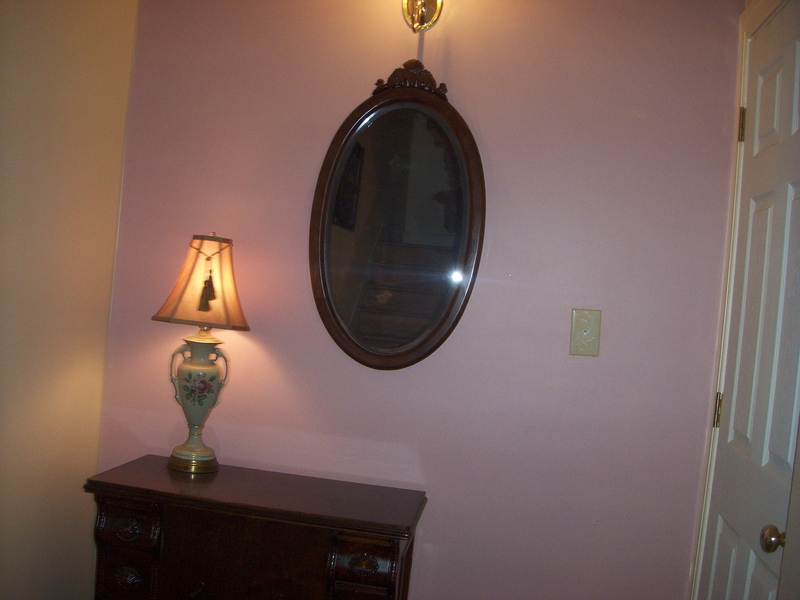 I also had equipment that would act oddly, huge orb presence in the inn (pictures on the website) and walking in the attic. My brother and I went with a local paranormal group to spend some time in the Tillie Pierce house when it was empty (May 2011). We spent a lot of time in the attic (it was 90 degrees up there but we’re from freezing Seattle so it felt good … no one else could stand it though!) We didn’t capture any EVP’s but we did use two different types of K-2 meters and they both continually went off at the same time. It appeared there were Union soldiers in the house as well as a brother of Tillie’s. He didn’t like Tillie getting all the attention since she was only a child of the family that lived there and it wasn’t actually “her house”. I saw a small light shoot across the ceiling of the attic (no pictures, unfortunately). I also aimed a thermometer at the ceiling and it went from 90 degrees to 72 degrees in an instant. When we went downstairs, I suddenly smelled horse poop in the living room area. Everyone laughed at me because I was the only one who smelled it (I have horses and I know what I smelled). When I returned home, I looked for additional information on this house and someone had posted a video of an EVP they captured … it was of a horse whinnying. I’m not sure how the two might be connected but it was really very interesting. Captured a great picture of a little Victorian boy on the attic stairs, in the mirror on wall. 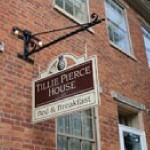 I gave Tillie Pierce Inn a copy. You can see his white collar and shoes on step. Look closely. Also, we got many evp’s from sitting room on second floor. My equipment went off in succession in the upstairs hallway. I think it was the little boy ghost messing with us. We will go back again. You need to ZOOM in and look in the mirror. I am attaching black and white and color pics. Tillie Pierce– pic #2 Little Boys face on attic steps.. look in mirror. Save pic , then ZOOM all the way in. I believe we were told that a little boy may have been killed by a horse and buggy and taken to this house after the accident. I helped with some of the excavation of the backyard several years back with some friends, and I remember the first day we got there (prior to knowing anything about the house, other than that Tilly lived there – but we had no idea who she was). We walked into the front door and we were waiting for the woman owner/operator to come talk to us when my friend elbows me and points to the stop of the stairs. She giggles, and smiles, and says “You missed it, there’s a little girl upstairs dressed in a time period dress, she’s really cute.” The owner over hears my friend and chuckles, and tells us that the inn is empty and no one was upstairs. My other friend’s head snaps toward her, and her eyes got super wide, she was arguing with the woman because she said she saw the little girl too. I thought I remembered her saying that my friend probably saw Tilly, but she was a teen during the war, so maybe I’m remembering correctly. But I do know that we aren’t the only ones that have seen the little girl. I personally never saw anything during my time in the house, but I was never there past nightfall. I have seen lots of videos of peculiar things though.